The Datsun Bluebird 510 sedan, also known as the "Poor man's BMW", was one of the most popular Datsun cars ever made. Built from 1967-1973, the Datsun Bluebird 510 was also known as the Datsun 1600, Datsun 1500, Datsun 1300 and simply Datsun Bluebird. The Datsun Bluebird 510 was originally designed by the Nissan-Datsun company in Japan, but the Bluebird 510 was not just produced in Japan, the Bluebird was also built in Australia and New Zealand as the Datsun 1600, and in Mexico as the Datsun as the 1600. Interestingly, the Name "Bluebird 510" was only used in Canada and the United States, while the nameplate "Datsun 1600", "Datsun 1500" and "Datsun 1300" were used outside The US and Canada. 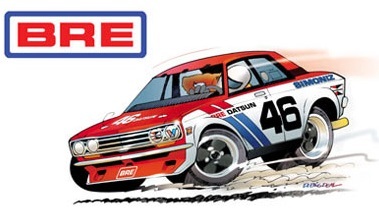 The original BRE (Brock Racing Enterprises) Datsun 510 roared around the top road racing courses in North America, capturing numerous victories and two 2.5 trans AM Champhionship with ace driver John Morton.